Wes Sharpton is lead haircutter at Hairstory and started doing hair at 19 in Lawrence, Kansas where his cuts for the Get Up Kids appeared on the pages of Rolling Stone magazine and sparked the desire to fulfill a dream of moving to New York. 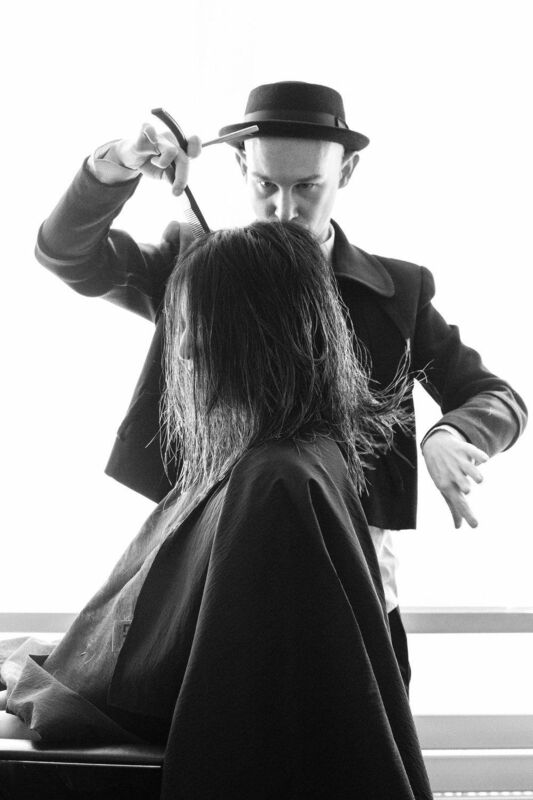 His work at Bumble and Bumble included mentorship with Michael Gordon, assisting editorial stylist Laurent Philippon, and giving haircuts to everyone from cool, downtown kids to Broadway stars, models, and beauty editors. I’M NOT INTERESTED IN PICKING HAIRCUTS FROM A MENU. A thorough consultation is key. I get a lot from what people wear and how they wear it, and what their overall appeal is aesthetically. I have a go-to set of references, and discussing a picture doesn’t necessarily tell me who a person is, but it tells me who they want to become. It does the groundwork of understanding their sensibility. Of course when you have someone open to becoming anything, there’s a different energy and level of guidance, and it can be more exploratory. But in the majority of cases it’s a combination of idea and image. When I worked at a traditional salon, products were designed to fix problems, to enhance a haircut as an obligation, or compensate for something – problems that shampoo was creating, as it turns out. Our views of healthy hair were very limited. But at Hairstory we are dealing with optimal hair because of New Wash. To rely on styling products purely for their performance is a powerful change. Scissors or razor? One isn’t better than the other and it depends on the situation. What does hair need? Strength? Softness? It also depends on a hairdresser’s level of comfort and confidence. The razor requires knowing to use the proper angle and the sharpest point of the blade to create maximum diffusion – an inherent softness of line – while ensuring the integrity of the cut. It allows a cut to go from natural and lived-in to sleek and classic; it can live in both worlds. I find that when I hold a tool so sharp so close to a client’s head, I need to be hyper-aware and engaged; I can’t afford distraction. I’m not a big believer in hairdressing angels that bestow talent at birth. We tend to forget the amount of work and dedication it takes to be great. 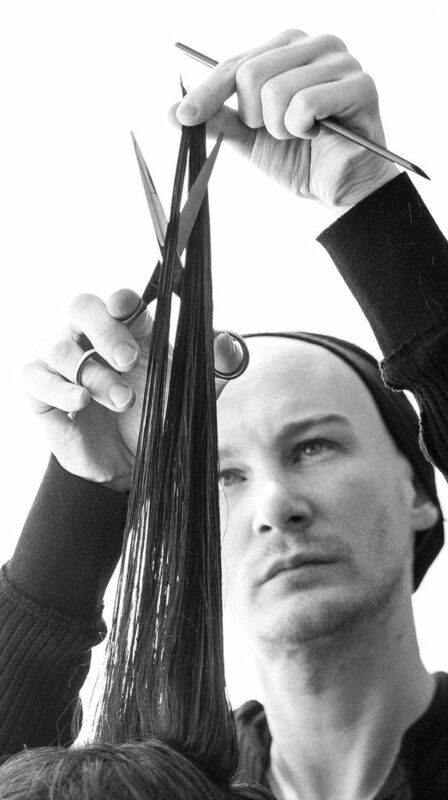 When I teach, I try to help hairdressers discover their own challenges and take them on. I want to create a culture where everyone can think for themselves, so I am more interested in the why than in the how. Asking why helps people become more conscious of their actions, learn from their mistakes, and re-evaluate their line of thinking. Most hairdressers come into the industry by watching people perform on stage at hair shows. I love drama, but I’m not interested in creating disciples or making people do things my way. It’s great to have a mentor, but the best situation is to become independent and to learn to ask questions for yourself. Become your own mentor. I’d rather take the more painful road of transparency and share what I’m learning, which is never-ending.